n late spring the Far East is the place to go. The weather is still fairly dry and the temperatures are (a little bit) lower than in the summer. 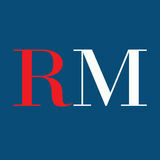 In this edition we suggest some hotels in Malaysia and the Philippines. Some well known, others less so and some hardly visited, but all of them fascinating. And then in Kenya, off the normal safari routes, an exclusive destination for nature and animal lovers. Between the savannah and the desert, new, sophisticated accommodation options welcome modern-day explorers, and leave them lacking for nothing. 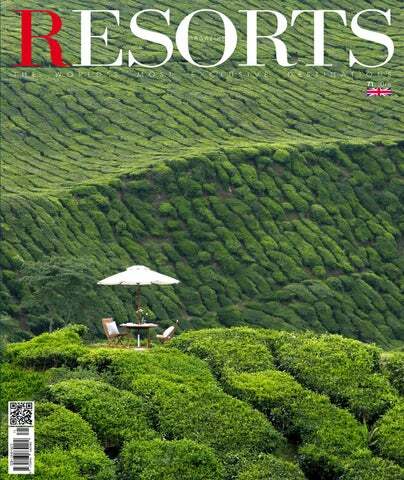 Go beyond your expectations with Resorts Magazine! This directory offers an annotated and up-todate instrument for the possible destinations for those who want to stay in the city or nearby. This because sometimes it is not only a question of price but rather attention to detail, passion and taste. Questa directory offre uno strumento aggiornato e ragionato sulle possibili destinazioni per chi vuole soggiornare in città o nelle vicinanze. Perché a volte non è solo questione di prezzo ma di attenzione al dettaglio, passione e gusto. L’autore, Paolo Gerbaldo, è inviato di Resorts Magazine. Dal Settecento fino alla seconda guerra mondiale. Due secoli di lusso ai tropici, tra ventilatori a pale, verande, tè pomeridiani e stuoli di servitori. Molti in Asia ma anche nelle colonie africane e in Centro America. Una storia affascinante di lungimiranti investitori, pionieri e avventurieri costellata di nomi eccellenti come Raffles, Peninsula e Strand. Questa directory ci mostra i migliori esempi sopravvissuti dove sperimentare esperienze e atmosfere d’altri tempi. Cover: YTL Hotels. Right: Boracay Island, Philippines. LAWRENCE TAYLOR For excellent Italian pastries, Lawrence went to Vicenza for this issue. PAMELA MCCORT FRANCESCONE In the Filipino Capital, Pamela visited the Shangri-la a Makati. ELSA BOZZAOTRA Elsa has tried the Leitz bags, those for work and travel, the glamorous and comfortable ones. PAOLA DI GIROLAMO Paola is in Kenya for two tented camps, one opulent, the other itinerant. PAOLO GERBALDO Paolo has compiled a list of top colonial hotels around the world. MARCO GALLI In Jeju, South Korea, to present a new project by LAVA studio. HASRUDIN TAZEP Hasrudin presents the special on Kuala Lumpur and Boracay: rooms with a view â&#x20AC;Ś on the past and future. MARIA COSCARELLI Maria presents the program of events for Visit Guam 2016. LUMPUR it an irremissible destination. Our correspondent, Hasrudin Tazep, went to visit the renewed Majestic, a historic and glorious colonial hotel which, for some year now, has brought back its original splendor. He then tried the Grand Hyatt, with its contemporary design and breath-taking views of KLCC Park and the Petronas towers, stopping off at the Enak restaurant, temple of traditional Malay cuisine. A symbolic historical hotel from a colonial period which contributed to the birth of modern Malaysia. Superbly restored and flanked by a 15-storey tower, it welcomes guests in a rarefied vintage atmosphere. pproaching the hotel a doorman dressed in a safari jacket, shorts and a colonial hat immediately appears. There is no doubt we have arrived at the Majestic. It is a hotel from 1930, built on the historical mile of Kuala Lumpur, just in front of the Moorishstyle train station. Not long ago, when Bukit Bintang did not yet exist, the urban centre was right here. Today, this historic hotel, carefully restored, re-opened in 2012, is flanked by a modern 15-storey tower. Guest may choose to stay in the Tower Wing or in the Majestic Wing. The latter offers a rarefied atmosphere, few spacious suites, butler, in-room breakfast and a series of included benefits such as laundry, mini-bar and city transport. However, the most appreciated is indubitably, its tranquility and personalized service. On the ground floor we find The Colonial CafĂŠ, where the ambience and the cuisine of the colonial plantations can be enjoyed, and where tea is served with a selection of hors dâ&#x20AC;&#x2122;oeuvres and sweets presented on Chinese porcelain every afternoon. It can also be served in the original Orchard Conservatory. The live music in the afternoon (as in the evening) is guaranteed by the descendants of the legendary maestro Alfonso Soliano, always well presented in the Malay musical tradition. In a separate building is situated the The Smoke House, with its renowned cigar room - also available to non-guests with a membership. In another edifice adjacent to the hotel we find The Majestic Spa by Spa Village. The architecture is inspired by the Willow Tearooms of the celebrated English art nouveau designer Charles Rennie Mackintosh. Here too the colonial period relives its heyday and not only in the style of architecture. In fact, we tried a ritual: the Malaya Golden Chersonese which recalls the period of the epic trip of the English writer and explorer Isabella Lucy Bird who, in her various world tours sojourned a long while in the â&#x20AC;&#x153;British Malayaâ&#x20AC;?. The treatment is composed of a banana and honey- based mask for the hair followed by a herbal scrub, the Herbal Steam and then concludes with the East Indian Spice Massage. For guest who want to take extra special care of the face, the Deep Cleansing Pure Facial is a must - 90 minutes of facial cleansing, deoxidizing treatment and removal of impurities. The preparation of the therapists, the quality of the products and the delightful ambience make a visit an event. The Majestic is the only member hotel of the Leading Hotels of the World in Kuala Lumpur. The Malay chain YTL has expanded rapidly and today manages a prestigious collection of resorts, city hotels and boutique hotels in Malaysia, Thailand, Indonesia, China, Japan, France and UK. h e most ren own ed is doubtlessly th e myt h ical Pan gkor L aut R esor t, in augurated with a co ncer t by Pavarotti an d, in 2 0 0 3 , celebrated by Con dĂŠ Nast Traveller UK as th e best resor t in th e wor ld. H owever, all of th e proper ties man aged boast motives fo r interest an d un iquen ess. I n 2 0 1 4 Y TL laun ch ed K asara, a n ew bran d of luxur y w hose fir st proper t y is in th e mountain village of N isek o in J a pan . I n 2 0 1 5 th ey acquired th e Th e G ain sborough Bat h S pa, th e on ly Le adin g Hotel of th e Wor ld in th e Th er mal cit y of Bath b ut also th e on ly E n glish h otel c apable of offer in g a t her mal spa in its inter ior. In the pulsating heart of the Kuala Lumpur City Centre, with the Petronas Twin Towers at your fingertips, the city park at your feet, the view is all important. What remains is service, cuisine, design and space. ur sun set ar r ival affords us a rare view of th e towe r s due to th e proximit y, but most of all for th e height. Th e reception on th e 3 9 th floor h as a glass wall t hat provides a view of th e t win tower s an d th e par k t hat sur roun ds th em. We are obviously in th e centre o f t h e c it y. Adj acent ar ises th e Convention Centre, th e D ewan Filh ar mon ik Petron as an d th e famous G olden Tr iangle, th e sh oppin g distr ic t with th e Jalan Buk it Bintan , th e most glamorous street in th e M alay capital. From th e rooms th e view is n o less spec tac ular. Th e b ed is or iented towards th e win dow an d th e mor n in g awak en in g could n ot be more impressive. Th e b at h room, j ust beh in d th e bed, also h as a glass wall th at can become opaque at th e flip of a switch to en sure n ot o nl y a great view but also pr ivac y, depen din g on th e mo od of th e guest. Th i r t y8 i s t h e p ano ramic rest au rant o n th e 3 8 th floor r i g ht b e l ow t h e l o b by. I t is fo r al l - day dinin g dur in g th e day, wh i l e i n t he evening it b eco mes a soph isticated f i n e - d i n i n g re s t au rant. Thanks to t he vie w an d th e sof t l i g ht i n g a p a r ticu l ar l y ro mant ic at mo sph ere - greatly ap p re c i ate d by co u p l es - is created. Th e cuisin e is i nte r n at i on a l w it h a su p er b sel ec t io n of Australian Wa gyu a n d B lack Ang us, del ec t ab l e Fr ied Crab Cakes an d Ch i n e s e s pecial t ies co o ked in wo ks. For in stan ce, S e a B a s s Fi l l e t, Tig er Praw n and Szechuan St y le Ch ick en . Mindful of preserving tradition, family dishes are presented with contemporary elegance, but on them very traditional ingredients. More than a restaurant it is a museum of flavours, supervised by the mother of the owner. herena Razaly is a beautiful Malay woman who certainly does not lack for words. She is as sure about what she says as she is about what she does – which is quite a lot. She is preserving the Malay culinary tradition, refining family recipes jealously guarded by her mother who periodically checks the chef ’s work. The latter is in charge of the very contemporary presentation, the only concession she has taken for herself. The menu tells of tropical products, loads of spices and sur f ’n’ tur f dishes, often accompanied by rice. Dishes that smell of antique and which relate the histor y of the countr y, opulent yet balanced. If you love desserts, forget the cheesecake and tiramisu. Instead you can opt for a Puter Mandi (rice in coconut milk covered with melted brown sugar) or trade this for a detoxifying “full immersion” in tradition, still ver y satisfying. A narrow strip of land about ten kilometres long with 30,000 thousand inhabitants. These are the numbers of the emerging Filipino Phuket. Renowned for its white beaches, it is chosen above all by holidaymakers from the Far East â&#x20AC;&#x201C; most of all China, followed by Korea and Taiwan. Its national tourism is also significant. A myriad of simple locals overlooking the beach in a vintage atmosphere which recalls the beginning of other destinations which are now famous. Luxury and exclusive properties are still few however. Among these we find the Lind. Our correspondent Hasrudin Tazep went to have a look. A new brand of hospitality, all Filipino, very contemporary, almost minimalist and very glamorous. We visited the flagship property on Boracay â&#x20AC;Ś with a few surprises. ice cream. Some particular combinations may perhaps surprise guests with experimental flavours, leading them away from the obvious selections. The creative chef clearly has experience and potential which, in time, will become more and more refined. An ample gym with huge windows that look onto the garden is not missing. Adjacent is The Spa where capable therapists take care of guests with a selection of treatments which propose the best of Oriental traditions. Boracay is a lively young destination in rapid expansion. The atmosphere is still na誰f and recalls Bali or Phuket in the 80s. It should be seen now. Otherwise, the occasion to live a magical moment will be lost. The Lind is the right destination - in the middle of the action but at the same time isolated. Very glamorous. Here the big five are always on hand and the offering of lodges ranges from basic properties to those which are decidedly opulent and exclusive. Attention is always aimed at the territory and experiences available. Paola Di Girolamo presents us a lodge and a tent camp that are particularly special. Safaris of long ago. A colonial-style camp reminiscent of the opulence of the beginning of the century. Crystal and porcelain objects on rugs in the savannah. Uncommon luxury with the fragrance of vintage. ere is how to create a unique and incomparable experience laced with adventure, life in the jungle and elegance. This is the objective Cottars Safari has proposed since 1920, the year when its founder launched a long tradition which continues even today with his heirs. Located in the heart of a natural reserve, it offers guests the extraordinary spectacle of a wild and uncontaminated natural setting. Far from the beaten path of mass tourism, the goal is to have guests relive the original spirit of the safari, re-creating for them the period of maximum splendor and ensuring luxury and quality. Expert guides lead them in the discovery of the flora and fauna in a mix of adventure, adrenaline and comfort but, of course, in absolute safety. Reserved for a precious few, the tents are spacious and elegantly furnished with original objects from the 20s. An attentive and discreet butler renders the stay pleasant, while expert guides are available for nighttime excursions. On horseback in the Kenyan savannah, going from one tent camp to another, encountering dimension not even imaginable. An exclusive experience for real travellers, those in love with nature in her entirety. his is a movable camp organized by Patrick (American) and Nicola (English), who propose excursions on horseback at the ol Donyo lodge. The proposal works, the stables are complete, and now guests can choose Ride Kenya with excursions from ol Donyo lodge or as a safari experience in and of itself with luxury tents and five-star service. All this on horseback. If you love horses this is truly an exceptional occasion to discover Kenya, its grasslands and savannahs. Every camp (each one rigorously movable) is set up by the personnel before the arrival of the guests. The chef pampers the intrepid explorers with award-winning â&#x20AC;&#x153;campingâ&#x20AC;? dishes, accompanied by a superb selection of South African wines. This is not an easy trip, and it is certainly suggested for those who have ridden horses for some time and who desire to exploit this method to discover the geography of this fascinating country. F ro m Vi cen za t h r oug h out t h e w or l d , t h e Ital i an co n fe c t i on a r y t r a d i t i on i s e xp or t e d to mo re th an 5 0 c oun t r i e s a r oun d t h e w o rl d. Panet t on i , p a n d or i , c ol om b e a n d butter co o ki e s: a st or y of e xc e l l e n c e .
he history of Loison is one of a born pastry business that has remained loyal to its origins but knows how to move on the international market. Dario, who manages the business today, along with this wife Sonia, is the ambassador of a tradition which has never been abandoned. Age-old recipes, quality raw materials â&#x20AC;&#x201C; some, in fact, the defenders of Slow Food â&#x20AC;&#x201C; make the Loison products an example of excellence. The Mananara all-butter and vanilla cookies from Madagascar are particularly special. The flavours range from the classics and traditional ones to those with fruits and spices. They are little delights which come complete with an exclusive packaging: from the simple single portion to the little Cappelliere; from the precious Portadelizie to the degustation boxes. The names are enticing: Canestrelli, Maraneo, Favette, Bacetto, Zaletto and so on. The singleportion packages are very practical for hospitality properties. The packaging of Sonia Loison perfectly highlights these products of excellence which owe a lot to the Italian confectionary tradition, and it is for this very reason that they are greatly appreciated abroad. Leonidas chocolates are crafted using only the very finest fresh ingredients. Real Belgian chocolate, vanilla from Madagascar, oranges from Valencia and almonds from Californiaâ&#x20AC;Ś blended by the MaĂŽtre Chocolatier with over 100 years of Leonidas family knowhow. orn in Anatolia, Leonidas Kestekides represented Greece at the Brussels World Exhibition 1910, winning the bronze medal for his artisanal confectionery and… falling in love. Leonidas returned to Belgium two years later to marry his sweetheart Joanna. 1913 saw Leonidas win gold at The International Exhibition in Ghent. By 1924 Leonidas and his nephew Basilio had opened Pâtisserie Centrale Leonidas in Brussels. Their mission? To make fresh Belgian chocolates an affordable luxury for people to enjoy every day. Basilio registered Leonidas’ namesake - the Spartan warrior - as a trademark and took the helm as Maître Chocolatier. This heralded a period of expansion when shopfronts across Belgium were transformed to include the signature sash window, drawing crowds to see the family at work. The family continued the growth of Leonidas, taking their fresh Belgian chocolates into Europe and further expanding into America and Asia. Since then, Leonidas chocolates have only been made at the factory in Anderlecht, which remains Leonidas Headquarters today. The fresh pralines are then transported at controlled temperatures to ensure they arrive in perfect condition. In 2013 Leonida celebrated the centenary by being included on His Majesty King Philippe of Belgium’s list of official suppliers. Leonida now has more than 1,250 Leonidas chocolate shops and cafés in over 50 countries and the story continues with the fifth generation of the Leonidas family. hile travelling we carry with us a series of devices and relative accessories which require adequately organized and protected spaces. A tangle of cords to charge smartphones, tablets, laptops, digital cameras and so on often create havoc in a travel bag. Leitz Complete offers a range of portable, resistant and functional solutions for smartphones and tablets. Letâ&#x20AC;&#x2122;s start with the material. It is technologically advanced, non-staining and resistant. The lining protects the contents and the compartments help to organise, especially the transparent ones. The result is a full but organized bag, with everything in its place. Whether for work trips in a city hotel or a holiday in an exotic resort, the Leitz Complete line of bags is a superb and elegant aid for the traveller. Leitz Complete Green is beautiful. Leitz Complete, the bags for professionals on the move. Lightweight, practical, resistant and, of course, beautiful.